Superdry men's Cali ringer t-shirt from the Orange Label range. 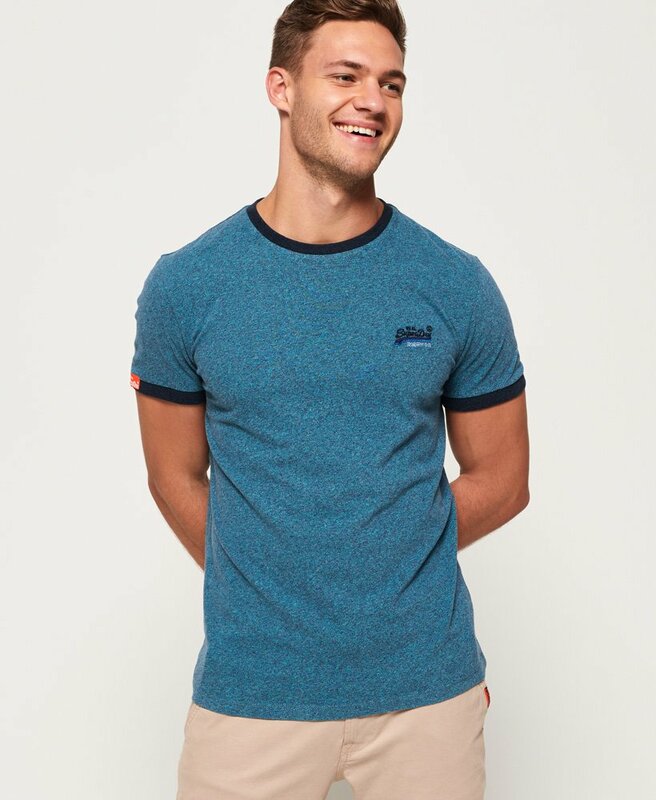 This classic short sleeve t-shirt features an embroidered Superdry logo on the chest and is finished with a Superdry logo tab on the sleeve. Wear this tee all year round, whether it’s with shorts in the summer or jeans and a hoodie in the winter.